Another rating, but this time with a description. 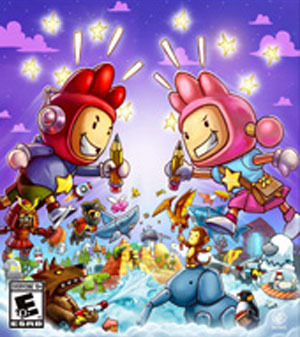 The Entertainment Software Rating Board has rated Scribblenauts Showdown for PlayStation 4, Xbox One, and Switch following its initial rating in Taiwan in early December. Update 9:15 a.m.: Warner Bros. has officially announced Scribblenauts Showdown for PlayStation 4, Xbox One, and Switch. Read more here. PlayStation 4, Switch, Xbox One, ESRB, Scribblenauts Showdown, Shiver Entertainment, Warner Bros.